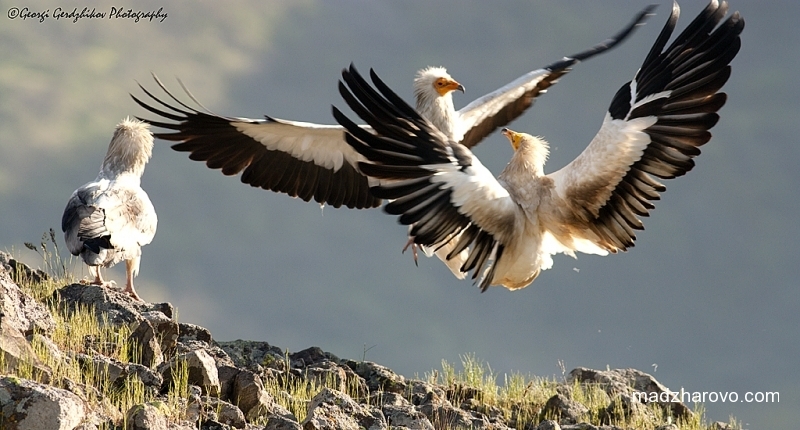 The feeding of vultures helps their survival. 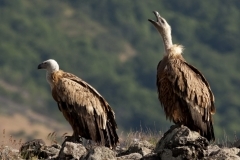 The price for one feeding of vultures, regardless of the number of people in the group is 120 BGN. 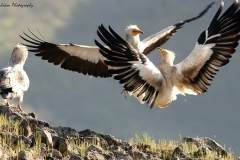 We will provide food for the vultures and ornithologist guide, who will take you to the observation place and accompany you in this adventure. You have to reach at about 9:00 a.m. on that day the village Potochnitsa, close to the wall of the lake Studen kladenets, in the direction of Krumovgrad. There our guide will explain how to conduct yourself during the observation so to avoid disturbing the birds. This is important so that you are able to see them. Together with the guide you will continue to the village of Potocharka, and from there for about 20 minutes you will reach the place of observation near the reserve “Valchi Dol”. The observation of the vultures during feeding in their “restaurant” is an unforgettable attraction. Sometimes at the vulture feeding place could gather more than a hundred birds, which rush to eat the main course. We observe them with a telescope and binoculars from a distance of about 400 m. Of course the hungriest birds are the first, but the rest are not waiting for long to join. For about 30 minutes we understand why these birds are cleaners of the Nature. They clean their dining table to a “full brilliance.” For about two hours we are able to get to know the habits of vultures at mealtimes and what it means to be on the top of the food chain. Of course, sometimes it happens that birds want to leave the food for later, but they still hang around their “restaurant”. The observation of the vultures during feeding, can be beautifully combined with search for minerals near Studen Kladenes, observation of other birds, amphibians and reptiles, observation of wild tarpan horses, visiting historic sites or kayaking on the lake Studen kladenes. We wish you an unforgettable adventure! 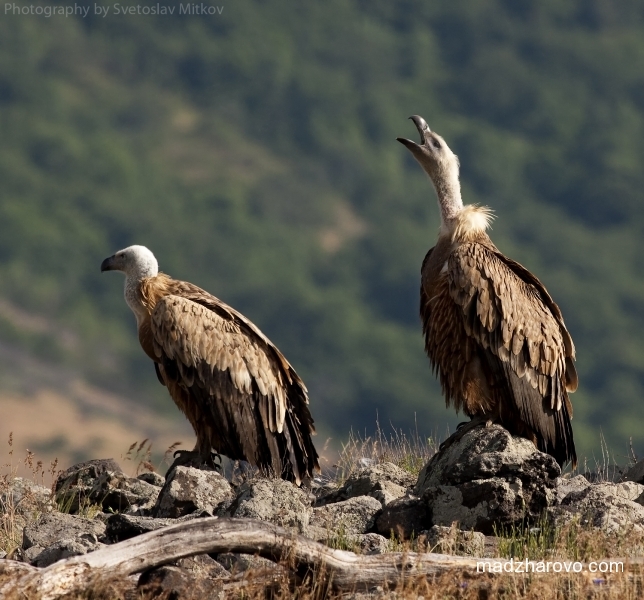 About a century ago in Bulgaria occured four vulture species – Griffon, Cinereus, Egyptian and Bearded Vultures. Today the Bearded Vulture has become extinct from the Nature of Bulgaria, while the has completely disappeared the Bearded vulture, and the Cinereus Vultures is extinct as a breeding species. 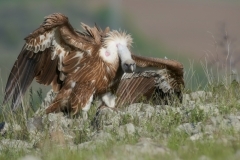 A small part of the breeding colony of Griffon and Egyptian vultures has survived in the Eastern Rhodopes, near Madzharovo and Studen Kladenets reservoir. The main reason for their disappearance and decline is the use in the past of poisoned baits aimed at reducing the number of wolves. 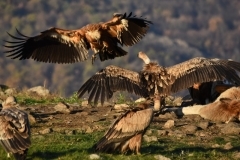 In the 1980s as a measure to restore the population of griffon vultures / numbering only few couples in the area of ​​Madzharovo and Studen kladenets / group keen conservationists and Bulgarian Society for the Protection of Birds began their artificial feeding. 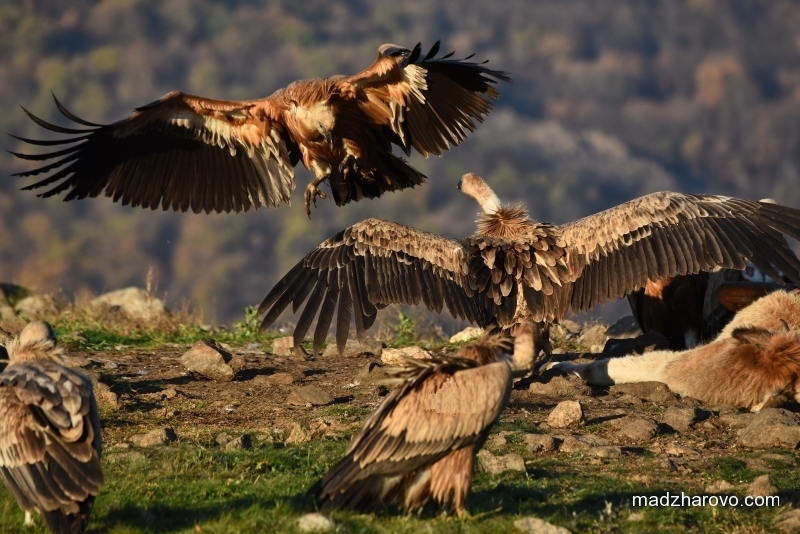 Today the pairs of griffon vultures are 77 and their regular feeding continues THANKS TO YOU.